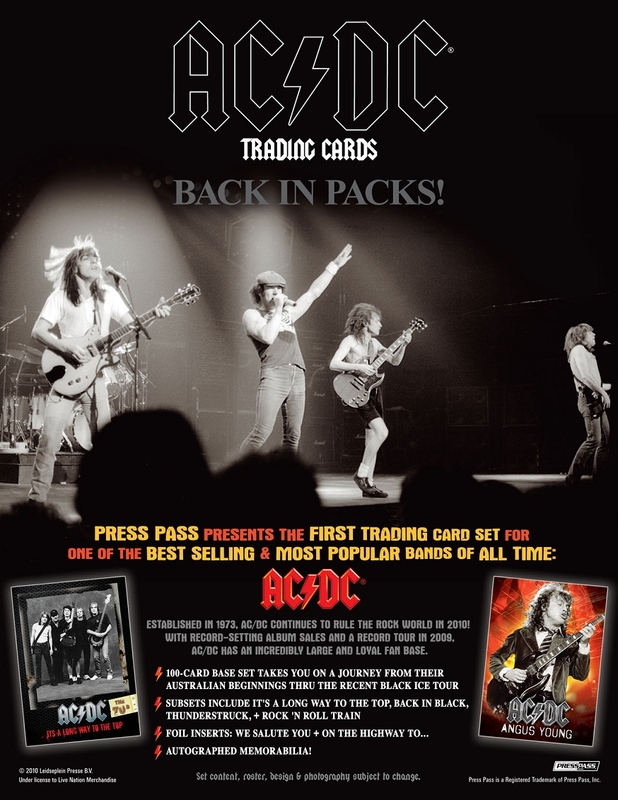 AC/DC High Voltage covers AC/DC's formation by the Young brothers in 1973, their early successes followed by the tragic loss of lead singer Bon Scott in 1980, and their rise to the top after the addition of Brian Johnson as Scott's replacement. 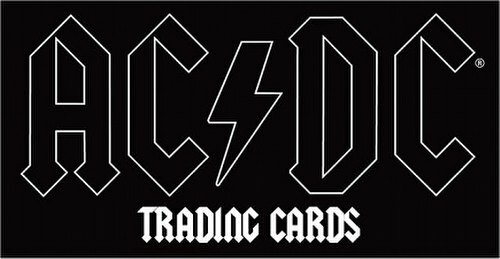 The set consists of 100 cards that feature rare photography and inserts featuring classic shots of the band, album covers, and collectible AC/DC stickers. 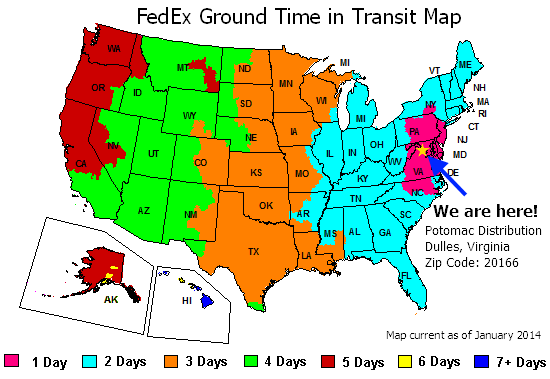 Subsets include It's A Long Way To The Top, Back in Black, Thunderstruck, and Rock 'N Roll Train. 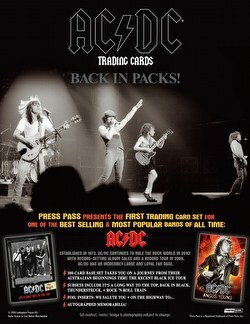 Foil Inserts include We Salute You and On The Highway To... Look for Autographed Memorabilia as well!